Missa Johnouchi (????? 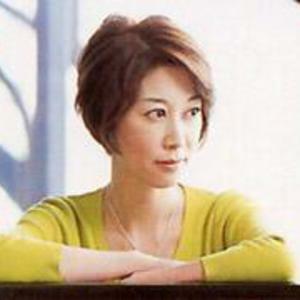 ; J?nouchi Misa) (1960-) is an artist who creates Asian-flavored New Age music. She is not only a composer and pianist, but also a conductor and singer. Missa Johnouchi was named UNESCO Artist for Peace in August 2006. She has worked on composing and arrangements for TV dramas and film music since when she was studying at music University. Ms Johnouchi produced eight albums with the Orchestra du Theatre National de l' Opera de Paris from 1989. She studied in France in 1990 and conducted the Orchestra playing the symphony she wrote in 1995. She has worked on composing and arrangements for TV dramas and film music since when she was studying at music University. Ms Johnouchi produced eight albums with the Orchestra du Theatre National de l' Opera de Paris from 1989. She studied in France in 1990 and conducted the Orchestra playing the symphony she wrote in 1995. She released her albums, "Asian Blossoms" and "Asian Blossoms II" and enlivened the overseas charts. In addition to her music activities, she has worked widely as a commentator and essayist.